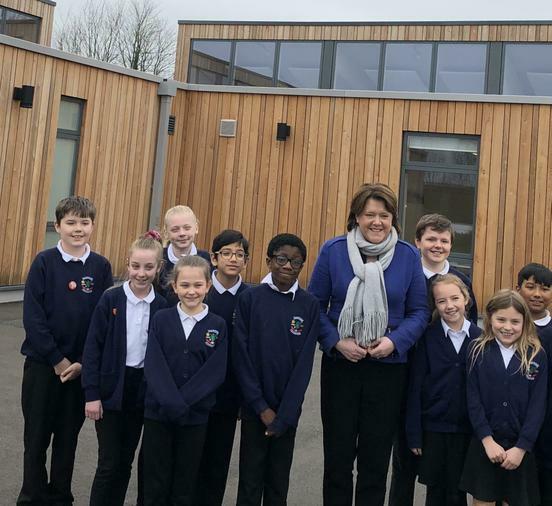 Maria Miller visited our school today. 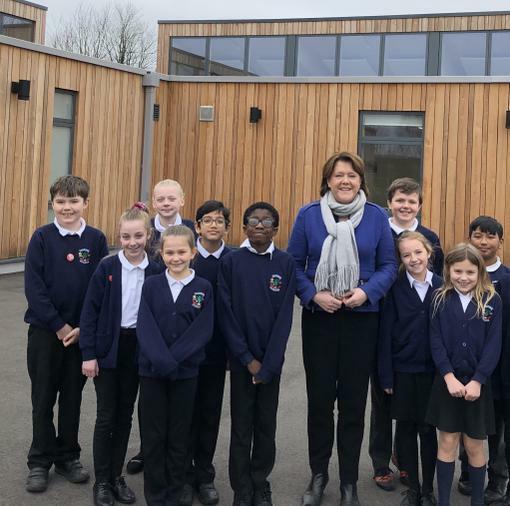 She met with members of the school council and some of the children who participated in the air quality control project. The children discussed the findings of their project and current focuses for the school council. Maria also had a tour of our new building which she was very impressed with. 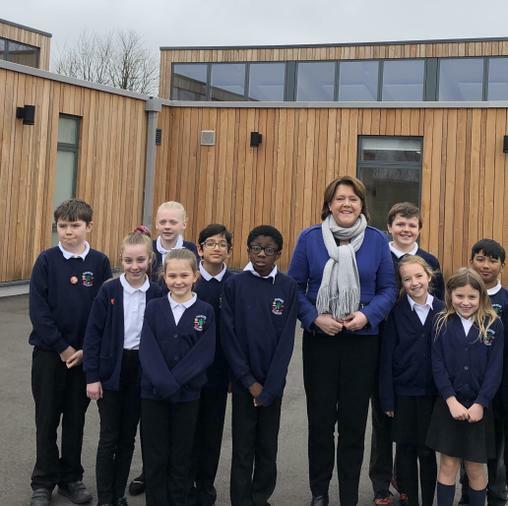 During her visit, Maria commented about how impressed she was with our children during their visit to the Houses of Parliament on Tuesday. 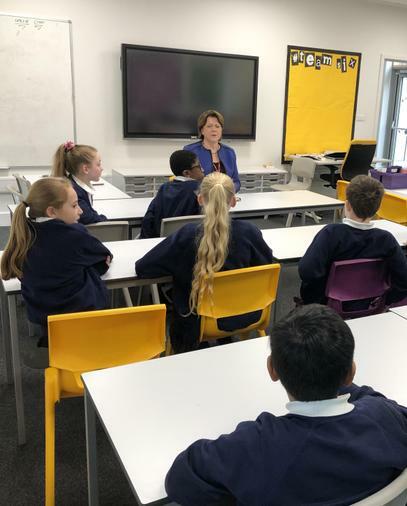 She said the questions they asked showed a real understanding of current challenges including those faced when using the internet.